Here are the ten most popular news articles, week ending 4th March 2018, covering catastrophe bonds, ILS, reinsurance capital and related risk transfer topics. To ensure you never miss a thing subscribe to the weekly Artemis email newsletter updates or get our email alerts for every article we publish. The CEO of reinsurance giant Swiss Re, Christian Mumenthaler, has questioned the robustness of the ILS business model, asking whether the understanding of underwriting risk has become decoupled from those who provide the capital to back it. Media reports state that French insurance and investment giant AXA is in advanced talks to buy Bermudian insurance and reinsurance firm XL Group, a deal that could see two entities with related ILS investment fund operations coming together. Reforms under the new Tax Cuts and Jobs Act (TCJA), adopted in the U.S. in December 2017, means that some insurance-linked securities (ILS) structures could be classified as a controlled foreign corporation (CFC) and others could be classified as a passive foreign investment company (PFIC), according to Mayer Brown. Berkshire Hathaway’s insurance and reinsurance businesses are the most prepared to handle a $400 billion mega catastrophe loss event, while the rest of the property & casualty industry may be out of business following such an extreme loss, according to Warren Buffett. 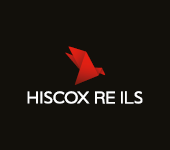 Hiscox Re Insurance Linked Strategies Ltd. (Hiscox Re ILS), the manager of third-party reinsurance capital funds at Hiscox, has grown its assets under management to a new high at $1.5 billion after attracting additional capital following the losses of 2017 and now plans to expand its product range too. Japanese primary insurance group Tokio Marine & Nichido Fire Insurance Co. Ltd. has returned to the catastrophe bond market for its latest issuance, a $200 million Kizuna Re II Ltd. (Series 2018-1) transaction that aims to secure a source of capital markets backed Japanese earthquake reinsurance protection for the sponsor. A new catastrophe bond transaction has been launched to benefit two companies of Japanese insurance group MS&AD Insurance Group Holdings, with a $225 million Akibare Re Ltd. (Series 2018-1) transaction that seeks to secure the sponsors a source of collateralized multi-peril reinsurance cover for three perils.